Set for beginners from Japan Shogi Association (Price: 1100 yen + shipping and eventual customs + 10% for international money transfer). Shipping cost can be checked on the official Japan Post webpage. It is the “Parcel (package)” type from Tokyo. 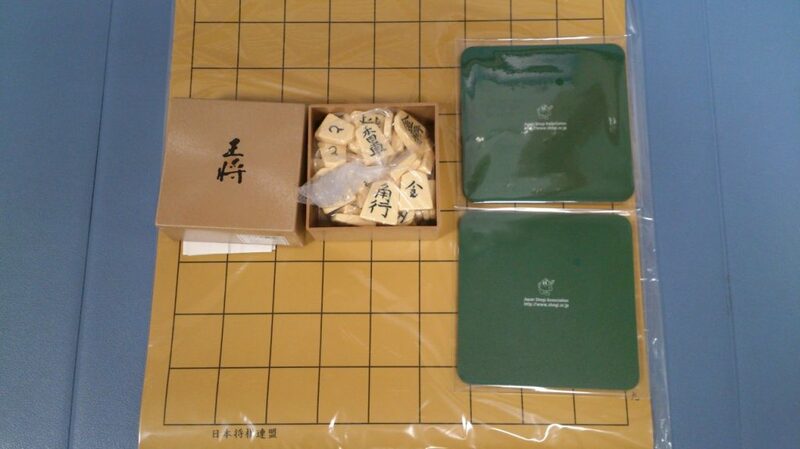 Together with the package weight, the total weight of one set is around 530 grams, and 10 sets is around 5600 grams. EMS is the quickest and safest way to send the package. You can place an order or send any question to email to oneye@windowslive.com in English or Polish. I help you to contact Japan Shogi Association by translating your request to Japanese.